I came across a version of this salad and I liked the idea, except it was made with wheat berries. Since wheat is a big NO-NO for me I switched out the grain to one that is delicious and has a toothsome chew – Short Grain Brown Rice. This dish would be great for those that meal prep. It is simple to make add has few ingredients. Combine ingredients into a large dutch oven. Bring to a boil and then reduce the heat to a simmer. Cook rice until the broth is completely absorbed and the rice is tender. 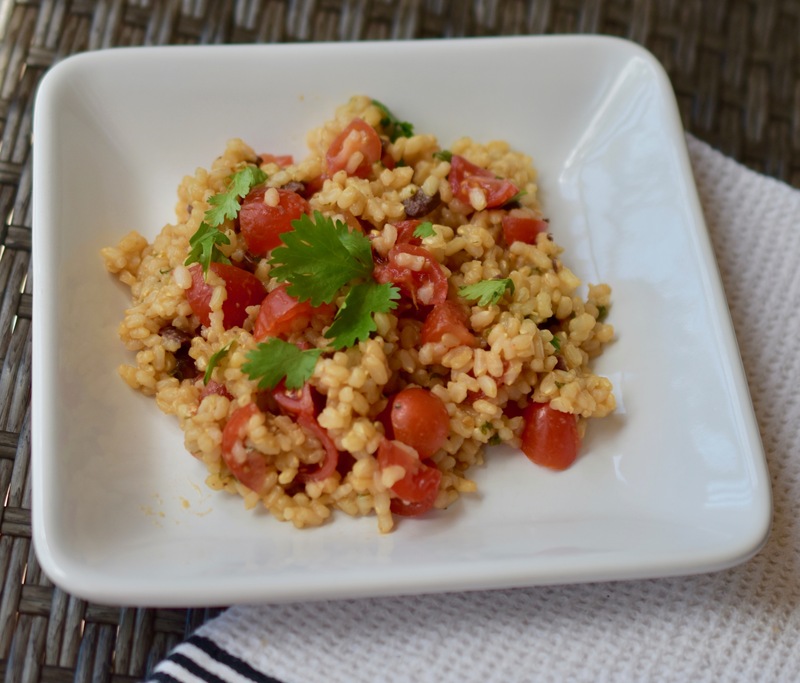 Combine all the ingredients: rice, Cilantro Dressing, tomatoes and olives into a large bowl. Thoroughly stir. Note: This can be served warm, room temperature or chilled. Also, you could bulk it up with some mixed greens. This lentil salad can be served with greens or without. Either way it is a healthy, protein packed salad. Delicious is the perfect word for this salad. Tired of your everyday salads? Then gives this one a try. You can serve hot or warm as a side or a main salad. The recipe is great for those that like to meal prep. You can use home fries (pictured below) or mashed potatoes as a base. It really does not matter because they are delicious all on their own. In a large skillet on medium, heat 1-2 tbsp vegetable broth. Add onions, celery, carrots and All-Purpose Seasoning. Saute until they are slightly tender, about 5 minutes. Add garlic and bay leaves and saute until fragrant, about 30-60 seconds. Add lentils and saute with onion mixture, about 1-2 minutes. Add broth to vegetable mixture and bring to a boil. Cover skillet and reduce heat. Simmer until lentils are fully cooked and tender, about 45 minutes. 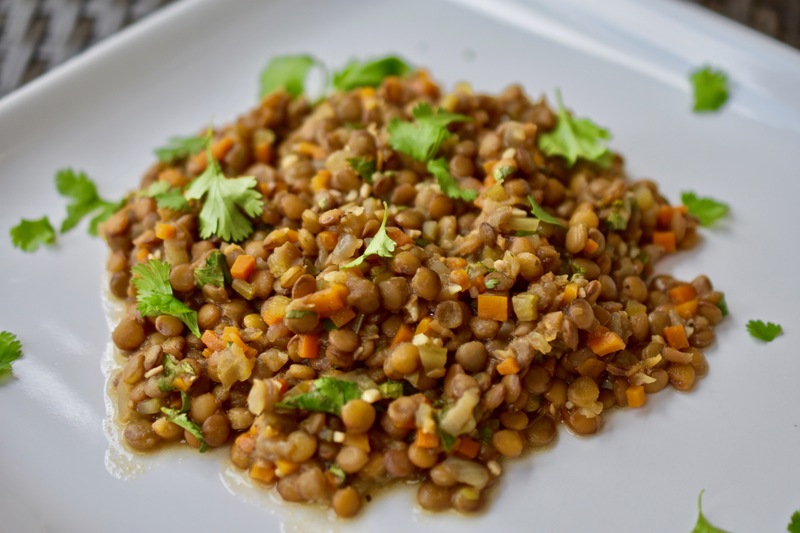 Combine lentil mixture with cilantro dressing. Stir until thoroughly combined. 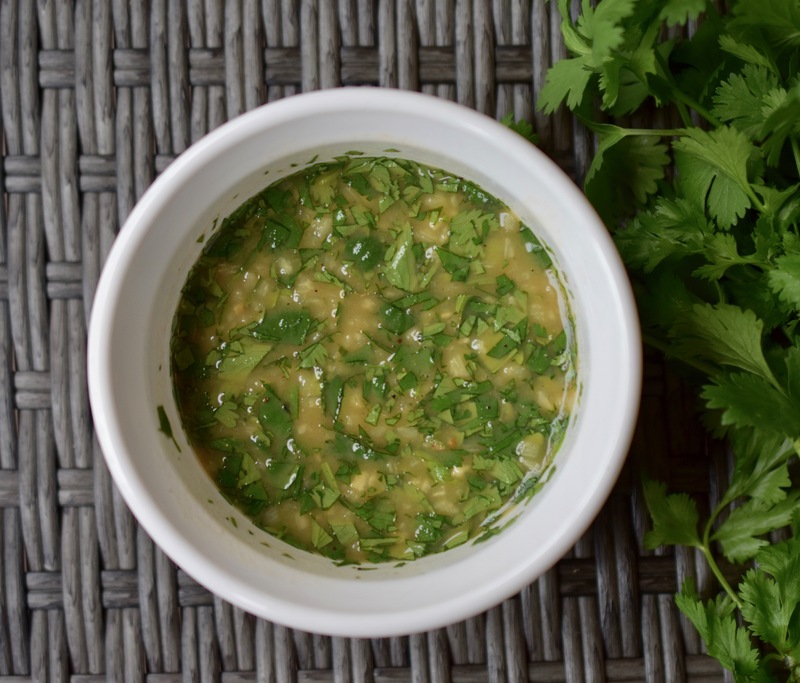 The fresh cilantro in this dressing is a refreshing compliment to a salad. Add this dressing to any kind of salad; bean, legume, grain, greens. It will take your salads up to the next level. Combine all the ingredients into a mason jar. Securely seal the lid to the jar and shake. Pour over salad.